I read Donna Tartt's the Goldfinch a few months back and it quickly became one of my favorite books of all time. I knew I had to read Tartt's other work as well. 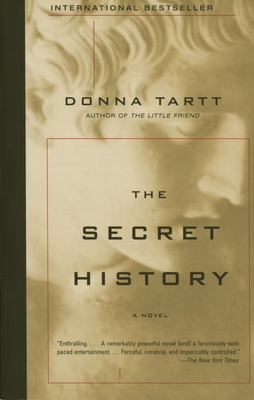 It was such a joy for me to pick up my mom's copy of the Secret History that she read 20 years ago (yes, 20 years ago!) and find it just as entertaining and delicious as she did. Donna Tartt is a literary genius. Her language is flawless, characters complex (although not always likeable), and settings as clear in your mind as what's right in front of you. The mystery and highly original subject matter kept me completely mesmerized through to the very end. P.S. Don't be intimidated by the size of her books: you will speed through them!